The focus of this blog is on designing furniture from a woodworking perspective. As a woodworker it means I’m always tempted to talk about tools. I’ll try to stay on point and keep it on design, but I may make a few exceptions. One is if a tool itself has something to say about design. Right now we are riding a wave of great tool making with artisans crafting tools that perform superbly and from an aesthetic view are wonderful as well. Finally there are tools that are part of the design process itself. I have to admit a weakness for well made vintage dividers. This brings me to Bob Zajicek from Czeck Edge tools and his awesome marking knives. I first ran into Bob last spring at the Lie-Nielsen Tool event in Cincinnati Ohio. He had this array of very nicely made marking knives with crisply turned handles that I could sense had much thought behind every facet. But what really got me was how they felt in my hand. A true extension of my fingers with not a hint that I would have to train my muscles to master this tool. It felt like sitting down in the bucket seat of my old 66 Chevy. I finally picked up one at the WIA event in Valley Forge this fall and have been putting it through its paces. No surprise, it quickly became the tool I reach for when I need precise layouts. I do a lot of hand work and in this case you can see it in action. The last few years I’ve made a conscience effort to steer away from tape measures and rulers and force myself to think proportionally. It’s my method to field test the ideas I’m learning about design, and see how they play out in practical terms at the workbench. A typical example is to use dividers to lay out a case, and when it’s time to fit a drawer, I use the opening itself to mark my cut lines directly on the drawer front. I have to admit this “no rulers” approach has taken me down some blind rabbit holes but that’s part of this process of discovery. 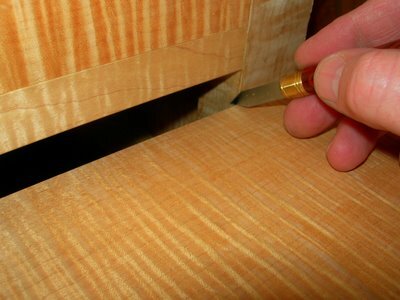 This marking knife makes those tasks as well as standard layouts for dovetails a joy. In fact I’ve elevated it to “finish plane” status. My new Czeck Edge knife gets a special place on the shelf when I need dead accurate crisp layouts, and my old marking knife is now relegated to some of the coarser work at the bench like trimming pegs or slicing up a plate of pepperoni to go with the game on the radio. In interest of full disclosure, I bought the knife with my own money and am not receiving anything in return for reviewing this product. If you are thinking about a new layout knife you cannot go wrong with these tools. You can find Bob on the Web and see his entire line of tools at http://www.czeckedge.com/ or use the link above. I too have this knife and would agree totally, it is an awesome marking knife. My Czeck Edge marking knives (Kerf Kadet and Pattern Pilot) were delivered this morning, and I put them to use right away. 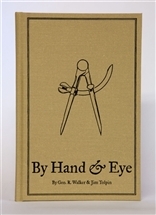 They fit to hand perfectly, mark precisely, and the fit and finish exhibits the care of a craftsman. Chuckled at the two extra tip protectors with each knife – Bob Zajicek must have seen my benchtop! Another satisfied customer. The only knife I use. And I must agree that it seems as if we’re living in a hand tool utopia right now compared to even just 7 years ago when I first started down this slippery slope. Believe it or not, youngins, we only had one, maybe two makers of quality backsaws at the time. Five or so years before that, there were none. I also am a big fan. 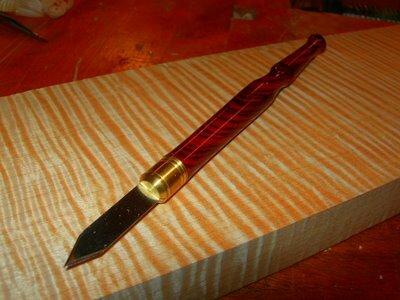 I use the marking knife and use the birdcage awl almost every day. Great guy to work with.